A genuine man of God is a truth seeker!!! John 18:37, "Pilate therefore said unto him, Art thou a king then? Jesus answered, Thou sayest that I am a king. To this end was I born, and for this cause came I into the world, that I should bear witness unto the truth. Every one that is of the truth heareth my voice." Paul and Silas had gone to Thessalonica preaching the truth, but the people were not receptive. Now they have gone to Berea, and these folks have gladly received the truth. In fact, they were so astonished by Paul's preaching that they had a hard time believing it. They needed to go verify the things Paul had told them... to see "whether those things were so." This is what God intended for preaching to be―the conveyance of TRUTH! Sadly, most of the preaching we hear coming from America's pulpits today is nothing more than weak, boring, filtered, dry, powerless, sermonettes! The Truth should shock people, either making them mad or causing them to want to learn more. I can honestly say that most people today, Christians included, are woefully ignorant of what's going on in the world. I have spent the past several years searching "whether those things were so" and have spent many sleepless nights as a result. This website is the fruit of my labors. The truth is truly stranger than fiction. America is fast becoming a police state, and few Christians are listening to their elected officials who are desperately trying to warn us of the blatant evils within our own government. The 911 attacks were clearly orchestrated by the Bush Administration. Most Christians absolutely refuse to believe that our own elected leaders could actually murder 2,752 innocent people on 911, including hundreds of honorable firefighters, but they certainly did. If you don't know it, then you are either woefully deceived or sinfully apathetic. The evidence indicting President George W. Bush and his Administration is overwhelming, concrete and incontrovertible. The truth becomes self-evident over time. There is no argument today that The White House had multiple advance warnings before Pearl Harbor was bombed. The government wanted the Pearl Harbor incident in order to justify American involvement into WWII. Please read chapter 16 from William Guy Carr's eye-opening book, Pawns in the Game. There is no doubt today that U.S. President Johnson's administration fabricated the Gulf of Tonkin incident to involve America into the Vietnam war, needlessly killing 58,000 U.S. soldiers. History has proven that our government often lies to us about everything. Yet, there are many foolish Christian leaders who are teaching people to blindly support the government, and to look the other way, to remain silent, and go along with every form of crime imaginable being committed by our government. Biblically, we have every right to RISE UP against the evildoers (Psalm 94:16). Please read, Should Christians Obey Criminal Government? I love Gerald Celente, he's my main man, right up there with Alex Jones. Listen to these MP3 clips from 'The Alex Jones Show' (March 26, 2012) of Celente preaching on the evils of a worthless congress and the imbecile public who keep voting for these con-artists. As Gerald point out, Pelosi didn't obtain a net worth of $200,000,000 in congress by being smart. They're all a bunch of criminals who decide the rules, and break them for their own financial gain and prosperity. Washington D.C. has become a cesspool of iniquity and all hope is gone without a revolution. With all the thousands of interviews that have been done since the 911 attacks, with people who were either at ground zero or are professionals in their respective fields, there is no doubt of a massive government cover-up. There have been a virtual newsmedia blackout since 911 by the mainstream newsmedia. The President's signing of directive w199-eye is damning evidence against him. Please watch Martial Law 911: Rise of the Police State (2 Hours, 35 Minutes). I care about the victims and their families. I care what happened. That could have been my loved ones. If you haven't done much research, then you are a fool to disagree. One man told me that people shouldn't believe everything they read, but he admittedly had read NOTHING on the subject. He has formed a biased opinion without any credible basis for that opinion. This is what most Americans do. They are either afraid, or just don't care. Thank God for truth seekers like Alex Jones, men who have the guts to stand up for what is right! I don't agree with a lot of things on Alex's show, but he's a truth seeker and a patriot! I believe in God, guns and guts too!!! Check out INFOWARS.COM and PRISONPLANET.TV for the best source of alternative news available!!! FOX News are demonic liars! I do greatly honor the Office of the Presidency; but that in no way should deter any U.S. citizen from demanding answers from our leaders concerning the suspicious, bizarre, and whitewashed attacks on 9/11. Remember, patriotism for one's country has NOTHING to do with loyalty to a certain political party or agenda. Fools like Bill O'Reilly at FOX Liars would have us to believe different. Verifiable Media Facts on 911 Coverup! The only way to fight the evildoers is by spreading the word. It's time to wake up, and start defending our God-given freedoms. "Rights" don't come from the government; but rather, from God. The American people are as cattle being herded into the slaughter house, and they're cooperating fully with the butcheries. My website is just the very tip of the iceberg concerning the truth. You will NOT find freedom in America. It is now utterly impossible. Wherever you may go, you will be surrounded by insouciant [marked by blithe unconcern] people and they are the real force you are having to struggle against, and they will always hold you down. America WANTS to be the way that it is today, by choice. All the claims for freedom and a return to liberty are factually false. I am amazed and saddened how many of America's preachers are afraid of this stuff. In their arrogance, they criticize and condemn people like me, when they ought to be exposing every work of darkness as Ephesians 5:11 commands. Most pastors choose to avoid research the occult, having the mindset that we ought not learn about the workings of Satan. Meanwhile, the same woefully ignorant pastors are allied with the government through 501c3 state-licensing, and many pastors are even signing up now with the government's treasonous Clergy Response Teams, and other pastors who have forsaken the inspiration of the Bible are now praising the wicked. The very fact that most pastors are actually supporting criminals and tyranny in America is evidence enough that I am 100% correct in what I say. Christians, especially Christian leaders, ought to research and know what their nation's leaders are involved with, because it affects us in every way. If we as born-again believers don't stand up against the wicked, then who will? There is a preponderance of verifiable, documented evidence to expose these criminals. President John F. Kennedy publicly spoke out against Secret Socialites, and yet the average Christian leader who despises Kennedy's openly immoral lifestyle is woefully ignorant of the Depths of Satan which Kennedy warned us about. It is an alarming paradox in our nation! America's religious leaders are the dumbest and most gullible among us. A genuine man of God is a truth seeker!!! In Bible colleges all across America, guest speakers are expected to speak within certain "understood guidelines." This includes America's Independent Fundamental Baptist Colleges. Chapel speakers are expected to preach on faithfulness, hard work, not quitting, loyalty, etc... and these are certainly all noble and necessary subjects. Please don't misunderstand me, I'm all for preaching the basics of the Christian life over and over; HOWEVER, there's much more to the truth than that. The average Bible college graduate today is as ignorant as can be concerning the Bill of Rights. In fact, a survey of 339 U.S. colleges and universities found that more than three-fourths of students and administrators did not fully understand their 1st amendment rights! We are slowly, but surely, losing our rights! Jesus became angry over evil, and so must we as Christians! Tragically, most Bible college graduates are naive about the evils of the Patriot Act. "It is getting more difficult to get fair and balanced discussion on the issues, because it has become routine for the hegemons to label those who object to preemptive war and domestic surveillance as traitors, unpatriotic and un-American." In other words, the Bush Administration and their allies in the news media label anyone who disagrees with their warmongering as traitors and un-patriotic. Read, It Can't Happen Here by Dr. Ron Paul. Sadly, I've been called "unpatriotic" even by Christians, because I expose the evils within the Bush Administration, and the pre911 planned war in Iraq. I want to go vomit every time I hear someone mention how wonderful our recent U.S President's are. They're all members of Bohemian Grove, Skull and Bones and Freemasonry (all demonic groups). Did you know that members of Bohemian Grove worship the Devil? Watch the end of the Martial Law 911: Rise of the Police State video and then tell me how wonderful they are. Watch The Obama Deception. The Bush family has deep roots in the German Nazi-party, as is documented in the video. Former U.S. President George H. Bush is purportedly married to Aleister Crowley's daughter. Don't take my word for it... check for yourself "whether those things were so." Here's another video on how wonderful the Bush Family is. Watch here about the Bush/Carlyle group exposed! Once enough of us decide we’ve had enough of all these so-called good things that the government is always promising – or more likely, when the country is broke and the government is unable to fulfill its promises to the people – we can start a serious discussion on the proper role for government in a free society. Unfortunately, it will be some time before Congress gets the message that the people are demanding true reform. This requires that those responsible for today’s problems are exposed and their philosophy of pervasive government intrusion is rejected. Let it not be said that no one cared, that no one objected once it’s realized that our liberties and wealth are in jeopardy. A few have, and others will continue to do so, but too many – both in and out of government – close their eyes to the issue of personal liberty and ignore the fact that endless borrowing to finance endless demands cannot be sustained. True prosperity can only come from a healthy economy and sound money. That can only be achieved in a free society. Did you read that... "This requires that those responsible for today’s problems are exposed and their philosophy of pervasive government intrusion is rejected." Why are the churches silent? Why are these issues so TABOO in America's churches? Sadly, this includes Independent Baptist Churches as well. Shame on us! Until 5 years ago, I was as blind as anyone else. It wasn't until CPS forced our daughter to take a dangerous drug, threatening to take her away if we didn't, that I first realized I was living in a police state. It just hasn't adversely affected enough people yet; but it WILL, mark my words.. IT WILL! Unfortunately, by the time enough people wake up to realize what evil is upon America, we will be living under martial law, in a totalitarian dictatorship. If you won't listen to me, then please listen to your elected leaders in Congress who are desperately trying to WARN you. Did you read what Ron Paul just said is required to save America... "that those responsible for today’s problems are exposed and their philosophy of pervasive government intrusion is rejected." EXPOSED!!! We must EXPOSE the evildoers and workers of iniquity. This is EXACTLY what the Word of God instructs us to do in Psalm 94:16... "Who will rise up for me against the evildoers? or who will stand up for me against the workers of iniquity?" It saddens me that nearly all of America's pulpits are CENSORED--either by pulpit committees, college administrators, or the rich people in the church. Truly, the love of money is the root of this great evil in America (1st Timothy 6:10). I'll tell you why America's pulpits are dead... it's because preachers love mammon and the praise of men more than truth and the praise of God. "For they loved the praise of men more than the praise of God" (John 12:43). A MAN OF GOD starts a Bible college, and Christian people follow him as he preaches the truth. In time, people are expected to CONFORM to a certain image, and individuality is shunned. The college begins to focus more on CULTURE, and the truth is suppressed. APOSTASY sets in like rigor mortis and the truth is abandoned, or changed into a lie. Let me tell you friend, there was nothing cultured about John the Baptist. He ate bugs for dinner, and dressed in camel's hair. Yet, Jesus called him the greatest born amongst women (Matthew 11:11). There was nothing appropriate about Jesus driving people out of the temple with a whip, throwing their money on the floor, and overturning their tables (John 2:15). Dwight L. Moody said, "God had no children too weak, but a great many too strong to make use of." God deliver us from the culture vultures who are AFRAID to speak the truth, and love mammon more than truth. There is NO WAY any pastor or Christian leader can be concerned about maintaining a certain amount of revenue, and still be true to his calling as a man of God to preach the truth. I knew a pastor years ago who was a true man of God. He preached against women wearing pants, smoking cigarettes, and any type of alcoholic beverages. He spoke the truth, even if it meant losing the rich families in his church, and HE DID LOSE SOME OF THEM. The pastor died, and a younger fella took over. In fear of losing financial support, he began to trim his sermons, preaching against smoking pot and drinking Jack Daniels, but he wouldn't preach against cigarettes or beer. It wasn't long before he started teaching heresies, desperately trying to drain money from his congregation. 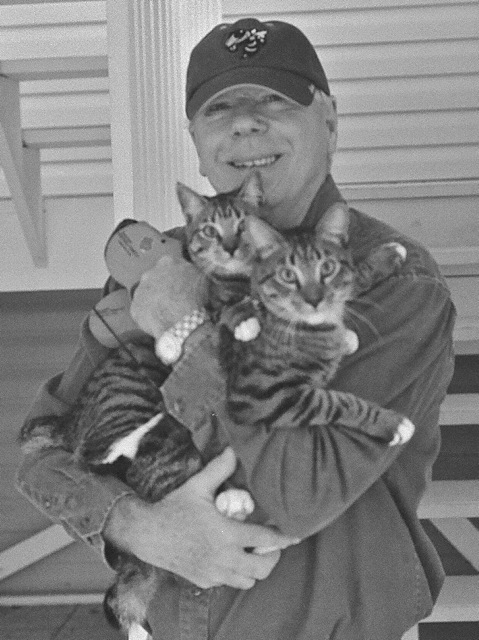 He began writing and selling several books to make more money. Some of his writings veered from the fundamental doctrines of the Christian faith, even teaching bizarre and unscriptural philosophies. Then he denied the inspiration of the King James Bible. You see, the love of money has taken control over him, and you can bet you'll never hear him expose the evil's being committed in Washington D.C. (or many of the others evils that every church in America should be exposing!). A pastor who makes money an issue will be in denial, rationalizing his apostasy. Christian people who are changing toward the left are always in denial. “We're not changing,” they exclaim, but they most certainly are changing. They are moving toward apostasy, away from God. You cannot move away from the truth without moving away from God. Likewise, as a person draws nearer to God, the truth will become more dear to them. The truth is the light. Jesus proclaimed to be the Truth (John 14:6) and the Light (John 8:12). Do you love the truth? Are you willing to lose financial support by preaching the whole truth? What truth are you filtering from your congregation, and from your students? America is going to Hell, and cultured fancy churches aren't going to save the day. Sadly, anything can be justified if someone is willing to distort the truth. What is your excuse? Why aren't you warning your people, your students, your congregation, about the attack against our freedoms in America? Did you know that HR 254 has just been introduced to legislatures? If passed, it will guarantee that Christians who preach against the sin of homosexuality will go to prison. HR 6166 has already been passed into law, which may keep you in prison indefinitely. Yet, America's biggest churches, who could do the most good, are eerily silent concerning these grave evils upon us. They are more concerned about buying chandeliers, French doors, new carpeting, a bigger building, and making more money. Shame on us! Most Won't Listen, But Some WILL! Even though most people didn't readily receive the Apostle Paul's message... "certain men clave unto him." Although some people mocked Paul, and others were reluctant to receive his message, a small handful of people (men and women) did wholeheartedly receive Paul's message, and wanted to know more. They "clave" to the truth! We read in 2nd Thessalonians 2:10 that many people will be woefully deceived in the last days BECAUSE THEY LOVED NOT THE TRUTH. Even today, we see that the masses of this world are being woefully deceived by false religions, greedy televangelists, criminal political leaders, and crooked businesses. And the greatest tragedy of all is that most of America's churches today are SILENT! Please keep in mind that John the Baptist wasn't imprisoned and executed for preaching the Gospel, but for preaching again Herod's adultery. John was a true preacher, who called it as he saw it, in light of God's Word. We are to preach the truth, the whole truth, and nothing but the truth! 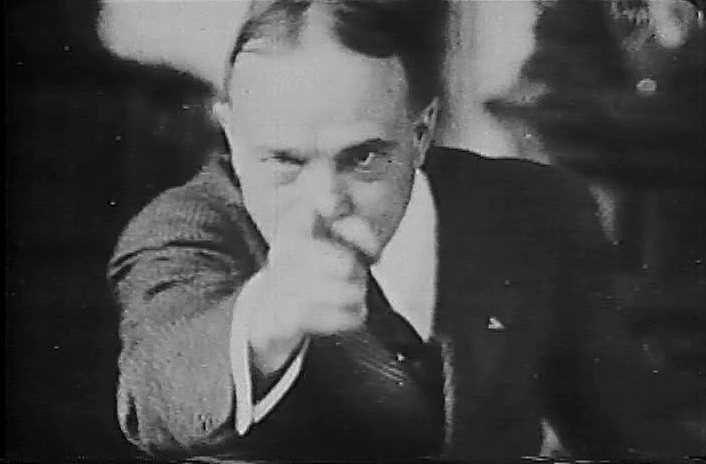 Billy Sunday preached the truth uncompromisingly, and many hated him for it. The word "culture" is a very dangerous word for Bible-believing Christians. There was nothing cultural about Billy Sunday's preaching while he was throwing chairs, yelling, and swinging his arms. Thank God for Billy Sunday. Street-preaching is not very "cultural." God help us to wake up--what will culture matter 125 years from now when ALL 6.3 billions people on earth are DEAD? Think about it. Who's preaching the truth? As long as America's preachers continue to be censored, dipping their sails in compromise, desiring only to preach within a pool of acceptable topics--America will continue to suffer at the hands of a murderous gang of God-hating thugs who are Satanists and traitors. Satan Must Run His Course? | The Problem with Most Christians | Truth is Fallen in the Street! You Need to Believe Some of the Things You Read!